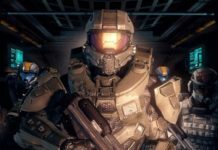 In an RPG game, gears, loots, mighty weapons and armors are things that we’re all thrive for. And in the world of Sword Art Online, surely it must have various legendary Sword Art Online swords and other weapons. With the announcement of Sword Art Online Season 3 which takes part in Alicization Arc, we will get to see more legendary and flashy weapons. But for the meanwhile, let’s check out the collection of Sword Art Online swords and weapons to date. * Sword Art Online swords and weapons collection here includes those from manga, anime, and movies. 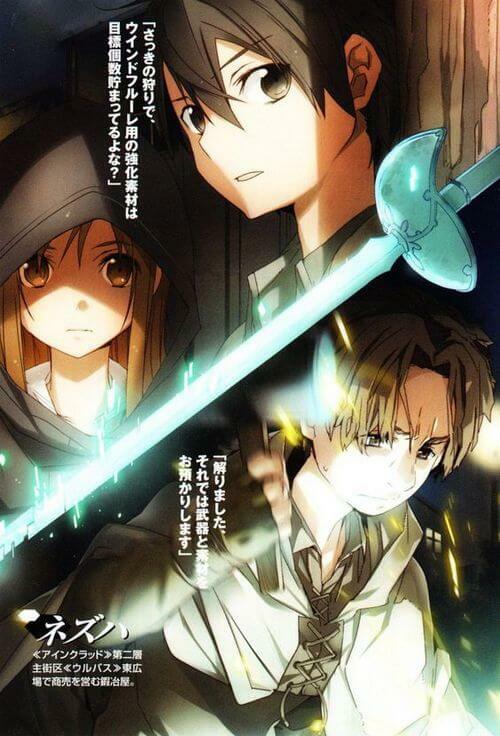 Elucidator is the signature sword of the main protagonist Kirito, alongside with his Dark Repulser. The Elucidator possesses a pitch-black tone from hilt to its blade tip with the greyish edge. Elucidator is the drop from a boss of 50th floor; however, the battle’s detail isn’t shown. There is a doujin version of Sword Art Online in which Lisbeth managed to upgrade Elucidator to +40. That said, this is not officially canon. Dark Repulser is another signature sword of Kirito, besides Elucidator, however Kirito only uses it when he use Dual Wielding skill. 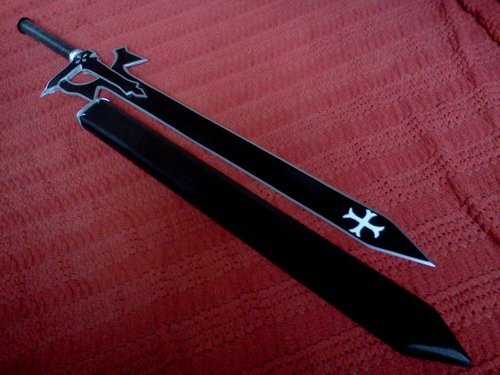 The sword has the shape of a straight sword with cross-like form. It possesses an aquamarine color with the darker tone at its hilt and grip. 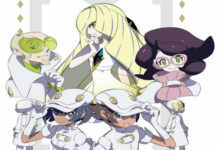 In the light novel, it is described differently than the anime version. 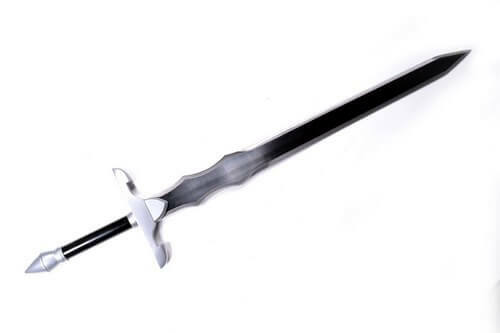 Dark Repulser in light novel has a white, transparent tone with slender blade. Its grip is silver-tone with slight blue touch. Unlike Elucidator, Dark Repulser’s origins and creation are clearly shown in the Warmth of the Heart, Aincrad Arc. During this period, Kirito required a new sword and he “accidentally” broke one of Lisbein’s creations. In order forge a new sword, together they venture to the lair of a dragon which could produce a rare metal. They succeeded in gathering an ingot; afterwards, they got back to Lisbein’s forge and created Dark Repulser, which possessed the power on par with Elucidator. Unfortunately, it was broken during Kirito’s fight with Kayaba Akihiko. Lambent Light is the signature sword, or rather a rapier, of Asuna throughout Aincrad Arc. The sword has a white blade with aquamarine-tone hilt and grip. 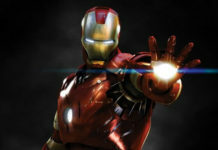 Although it is a rapier-type sword, according to real-life standard rapier, Lambent Light actually has a wider blade. Lambent Light was originally forged by Lisbein, and according to Lisbein, it is among best pieces of her work. The sword excels in speed, along with Asuna’s ability, resulting in her nick name as “The Flash”. 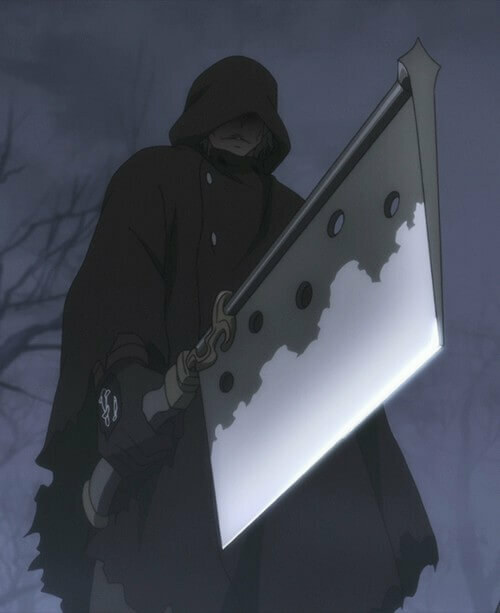 It is also the very sword which Kirito used to defeat Heathcliff, a.k.a Kayaba Akihiko, with the help of Asuna. Liberator, along with the kite shield, is a set weapon used by Heathcliff, a.k.a Kayaba Akihiko. The sword seems to be a white-tone straight sword with cross-like grip. Normally the sword was sheathed with the shield when it wasn’t needed. Together with the shield, it creates a formidable offense and defense weapon which can easily be switched with Heathcliff’s “Holy Blade” skill. Heathcliff’s Paladin trait, combining with Liberator, makes him to be the strongest character in the game. 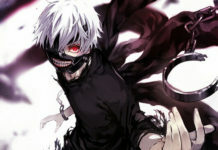 He could defeat Kirito even without using his Game Master status. 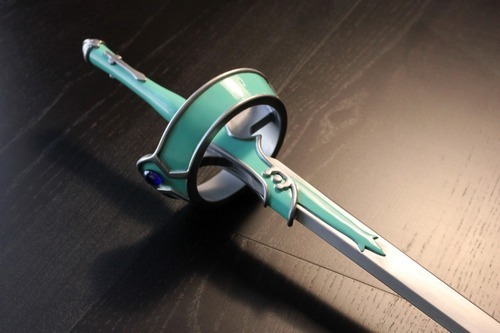 Before possessing Lambent Light, Asuna’s first rare weapon was the Wind Fleuret, a pure aquamarine-tone rapier. Like Lambent Light, the rapier also seemed to excel at speed and it could be enhanced 6 times. That said, unlike Lambent Light, this rapier seemed to have much more slender blade similar to real-life rapier. Asuna and Wind Fleuret had quite a history. At the beginning of Aincrad incident, Asuna was still pretty much a newcomer like most other people. One day, she encountred Kirito in the 19th floor and he gave Asuna advices for better fighting and farming. Probably thanks to those advices, Asuna eventually got her Wind Fleuret. Sometime later, there was an incident when Asuna asked Nezha, a blacksmith player to upgrade the Wind Fleuret. However, that blacksmith scammed her by making the rapier disappeared. Later on, Kirito found out the scamming method and got the Wind Fleuret back for Asuna. 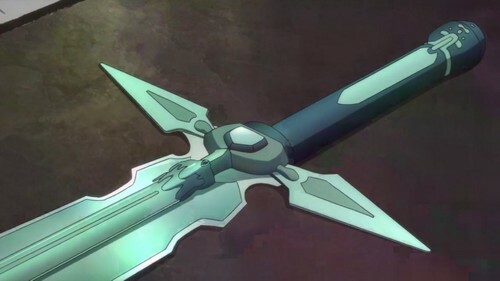 Anneal Blade can be considered as Kirito’s first rare sword at the beginning of Aincrad incident. Unlike his later Elucidator and Dark Repulser, Anneal Blade was actually a reward for a difficult quest: Secret Medicine of the Forest. 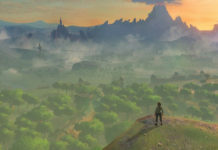 It could have maximum of 8 enhancements. 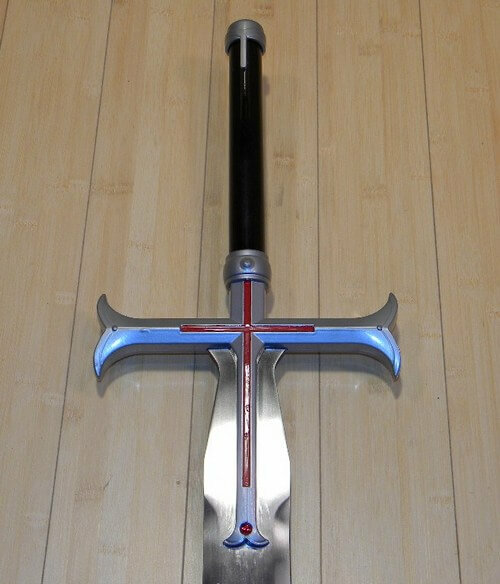 The sword used by Kirito throughout the first few floors of Aincrad. 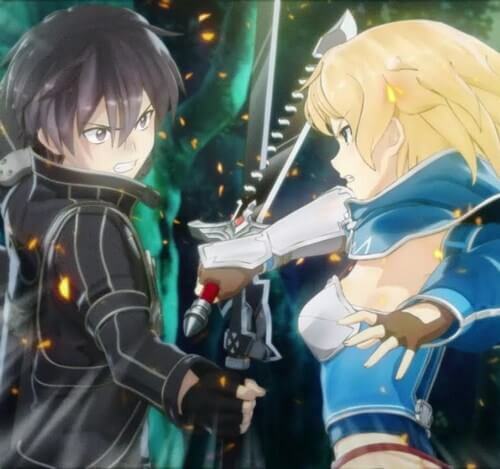 Kirito managed to upgrade the sword to +8; however, it was eventually broken after his battle with forest elves at Laketop Fortress. In the manga, the sword took the shape of a straight sword with straight blade. 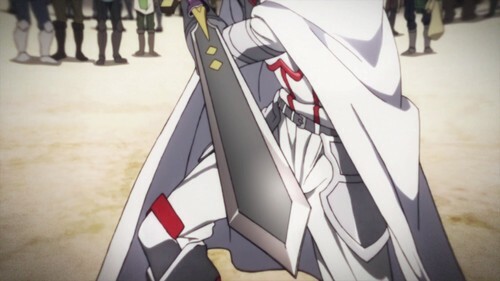 Meanwhile in the anime, the blade had fancier shape with curved-line edge near the guard of the blade. 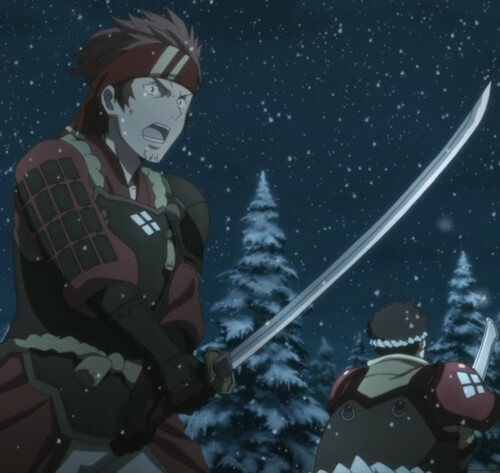 Karakurenai is a katana used by Klein throughout until the end of Aincrad Arc. The blade has the typical katana shape and can only be used by those who unlock Curved Sword skill. Besides that, not much information was known about this sword. Tyrant Dragon is greatsword of Kuradeel, a member of the guild Knights of the Blood, along with Asuna. The greatsword had fancy ornament and looked quite intimidating; however, its low durability made it extremely easy to be broken. This was proved from the fight between Kuradeel and Kirito as Kirito managed to break Tyrant Dragon apart. Unlike other weapons listed here, Sword Breaker wasn’t a sword but rather, a dagger with spiked-edge back. Sword Breaker itself didn’t have high damage; however, it had a special trait: It had chance to break opponent’s weapon while parrying. Hench the name: Sword Breaker. Like Sword Breaker, Mate Chopper is a dagger-class weapon, but its power was far more powerful that the best works of professional blacksmith. This weapon had a menacing appearance which looks like a huge kitchen blade. It also had the vibe of a horrifying weapon wielded by murderers. The weapon first introduced in the Murder Case Incident in 19th floor. And that’s it folk! 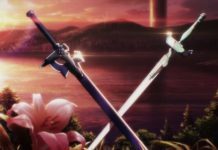 That is the collection of Sword Art Online Swords and Weapons – Part 1 so far! Meanwhile, stay tune for more in the future! 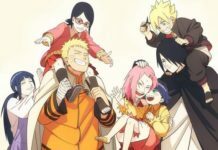 What Happened to Naruto Generation in Boruto Naruto Next Generations?